Eating a diet rich in a variety of whole foods is essential to healthy fertility. A whole food diet should include two uncommon components in foods: probiotics and prebiotics. Probiotics and prebiotics help to digest and utilize food in the best way possible. Digestive health is a key pillar in the foundation for healthy fertility. How is your digestive health? Did you know the human body cannot metabolize important phytoestrogens from plant foods and medicinal herbs, without adequate amounts of healthy intestinal flora? What is intestinal flora anyway and why is this important to fertility? We are going to explore all of these questions and you will be amazed at how important probiotics and prebiotics are to your fertility health. The intestines contain over 100 trillion bacteria. These bacteria protect our health. Intestinal bacteria, also known as gut flora plays many important roles in protecting us from many health problems, including many fertility problems. These good bacteria are also an essential component in healing existing fertility problems. Any changes in the body that lower the amount of gut flora may give rise to health problems, including many fertility problems. Many natural fertility experts agree; probiotic supplementation should be a part of regular protocol when treating infertility. Low gut flora gives rise to inflammatory disease. Endometriosis, PCOS, uterine fibroids, adenomyosis, dysmenorrhea (painful menstruation), Hashimoto’s thyroiditis and autoimmune related infertility issues all have a common element involved: chronic inflammation. Inadequate levels of gut flora also give rise to the most common female vaginal problem: yeast infection. Furthermore, we need healthy gut flora to utilize all the foods, herbs and nutritional supplements we take. 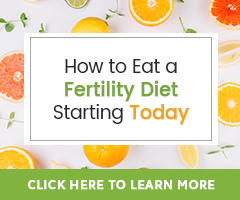 If we don’t have healthy amounts of beneficial gut flora, the body is not going to be able to benefit from efforts to increase fertility naturally. Healing fertility issues must begin in the gut. In order to optimize health changes; be sure to include both prebiotics and probiotics in your natural fertility plan! Did you know that your gut flora is established by the time you are 3 years of age? This means that your natural gut flora can compromised since the time you were a young child. Think back to the beginning of your life. How was your mother’s health during pregnancy? Was she ill, did she have to take antibiotics when she was pregnant with you? What happened to you directly after birth? Were you bottle fed? Were you given antibiotics in those first years of life? If you answer yes to any of those, chances are you are more likely to have lower levels of gut flora; possibly setting you up for health problems later in life. Along that that same line, when you are pregnant and breastfeeding, you will need to maintain healthy gut flora to ensure your child has the best digestive health from the start. Prebiotics promote growth and repopulation of good bacteria in the digestive tract. Essentially, prebiotics feed the good bacteria in the gut. They are found in foods typically not easily digested; this creates a situation in which certain components in these foods are only partially digested, leaving behind beneficial prebiotics that feed the good bacteria. The most common prebiotics are inulin and oligofructose. A study published in the Journal of Nutrition Studies showed that traditional diets contained over twice the amount of inulin than is present in the Standard American Diet of today. Clearly our diets are greatly lacking in prebiotic foods which promote beneficial gut flora. Note: If you do not eat a diet rich in fiber, you may find these foods hard to digest at first. Be sure to also eat adequate amounts of fiber. Good sources of fiber are dark leafy greens, broccoli, quinoa, chia seeds, beans, and ground flaxseed. There are some prebiotic supplements out there, but it would be best to get prebiotics through foods. Probiotics are products, including some foods that contain live microorganisms that replenish good bacteria in the intestines. If you have low levels of gut flora, or you aren’t sure if you do or not, you can eat foods with live active cultures or take a probiotic supplement. I do. I also urge you to consider it. Probiotic supplements are very safe and the benefits can be felt within days to weeks of supplementation. Remember, there are four common causes of low beneficial gut flora: antibiotic use, stress, inflammation and poor nutrition. Most Americans do not eat well; that alone is a reason to consider supplementation. Throughout the year, illness abounds and antibiotic use is on the rise. Antibiotics kill both bad bacteria and good bacteria; so, taking a probiotic is essential to full recovery. If you are being treated for any fertility issue with antibiotics, be sure to begin taking a probiotic supplement right away, before you begin your round of antibiotics. Take 1 Liter of coconut water (you may use the coconut water from tetra packs or fresh water from young coconuts. (If you use the 250 ml tetra packs it will take 4 to make a liter of water.) Add 1 packet of kefir starter (found at your local health food store) and place lid on jar. It will now take 4-5 days for the kefir to culture at room temperature. The coconut water will become cloudy as the culture grows and it will become “fizzy”. When the culture is done, add a twist of lime and a little stevia or organic sweetener of your choice. Then sit down and enjoy this delicious probiotic drink. Be sure if you choose to take a probiotic supplement, make sure it lists the genus, species and strain(s). Probiotics’ names are in three parts, listed in order. First is the genus name, second is the species and last is the strain. For example, the label may say L. acidophilus NAS, which may simply be shortened to just Acidophilus. Be sure to avoid products that don’t list the genus, species and strain. Choose probiotics that are refrigerated, not pasteurized, and say “contains live cells.” The supplement should contain at least a billion colony forming units (CFU’s). If you have recently taken antibiotics, be sure your supplement contains Lactobacillus rhamnosus CG and Bifidobacterium, which populate different areas of the intestinal tract; antibiotics kill bacteria in the entire intestinal tract. Vaginal yeast infection responds best to L. rhamnosus GR1 and L. fermentum RC14. Of the women we work with, I would estimate that about 30% have digestive issues (IBS, Crohn’s disease, Colitis), 15% have chronic yeast infections, 80% high stress levels, 60% chronic inflammatory related fertility issues such as endometriosis, uterine fibroids, PCOS, etc.) The signs are clear to me, gut health needs to be addressed when anyone is looking to heal fertility issues. Healthy gut flora is one of the first lines of defense we have in preventing disease, but also in healing problems already present. We cannot even begin to think we can heal fertility problems if there is a lack of healthy gut flora. Thank you for sharing this blog. Everyone must know the benefits of prebiotics and probiotics, especially to those couples who are wanting to have a baby.